My only adjustment to the recipe was to use White Lily AP flour as I was out of my usual AP flour. White Lily is a soft wheat flour and as it turns out makes a fantastic pasta dough, I had to use a bit more to get the required consistency, but that adjustment needs to be made with any flour as I have experienced. Copied and pasted Anne’s recipe because she can explain it much better than I can, the fresh pasta came out perfect and really spoils you. 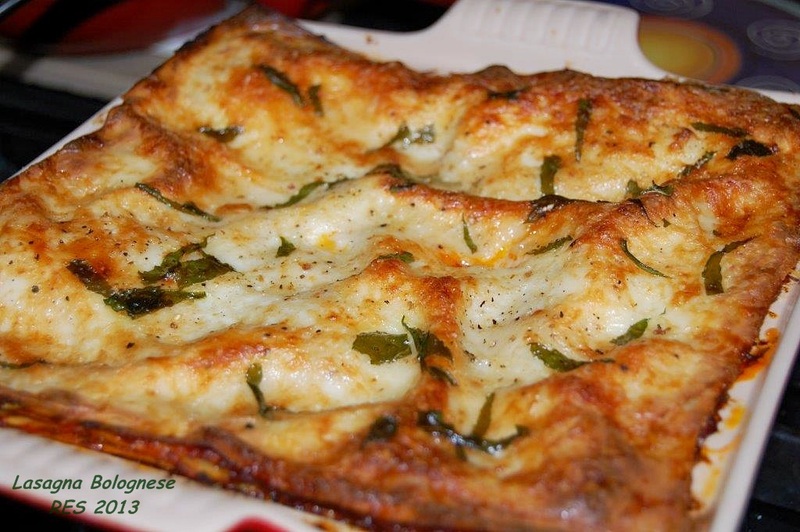 I do not think I will ever use dry lasagna sheets again. 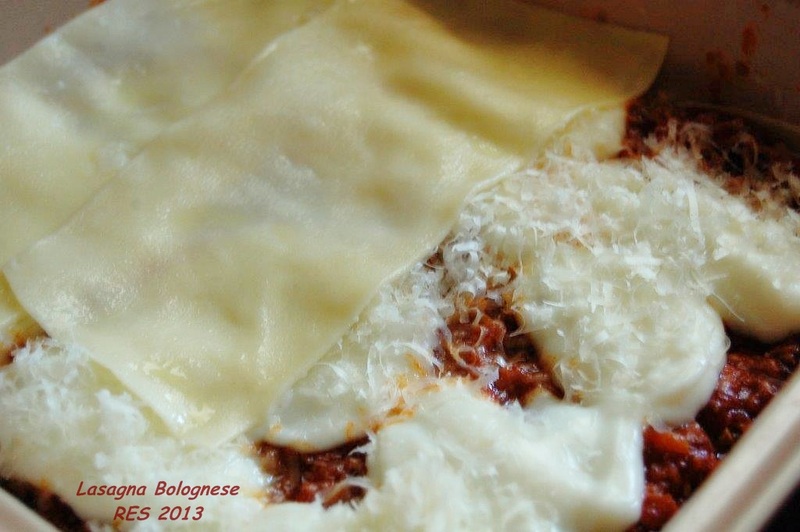 Anne’s lasagna pasta recipe worked great in my food processor with my setting at about 5 ½ – 6 for thinness setting. 2. Get your work area ready; I like to line a large tray with waxed paper. Dust the waxed paper with flour. Keep more waxed paper and flour nearby. 3. Working with a quarter of the dough at a time, run in through your pasta roller on the widest setting (usually “0″), then repeat this process with the roller set increasingly smaller (1, 2, 3) until the pasta is very thin. My Atlas machine goes to 9 but I almost always stop at 8 because this setting makes for thin, delicate pasta that’s not so fragile that I’m pulling my hair out with frustration trying to move it around. If you find your dough sticking, lightly flour it. If it gets too big to handle, cut it in half. If the piece gets too wide for the machine or becomes annoyingly irregularly shaped, I re-”fold” the dough by folding the sides of the dough into the middle, like an envelope, and press it flat. Then, run the piece back through the machine with the open sides up and down on the widest setting again (0) working your way thinner. This allows the machine to “press” any trapped air out. 4. 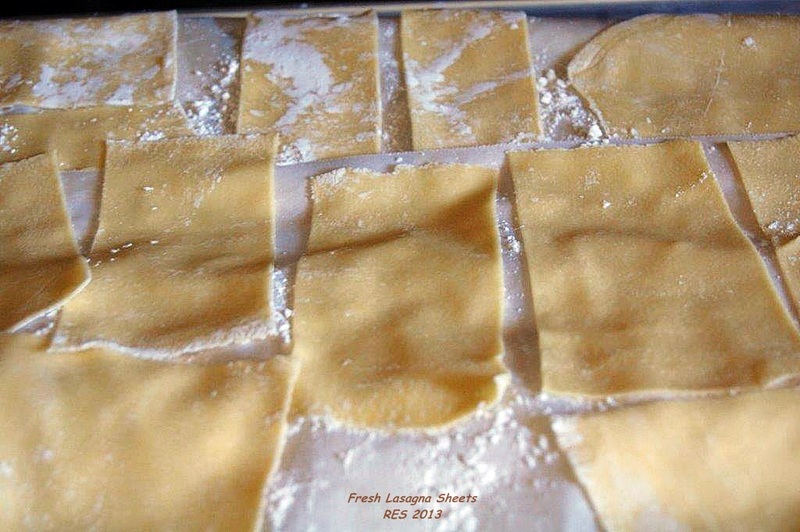 Lay your pasta on the floured waxed paper in a single layer, trying to keep the pieces from touching. Flour the tops of them and place another sheet of floured wax paper on top. 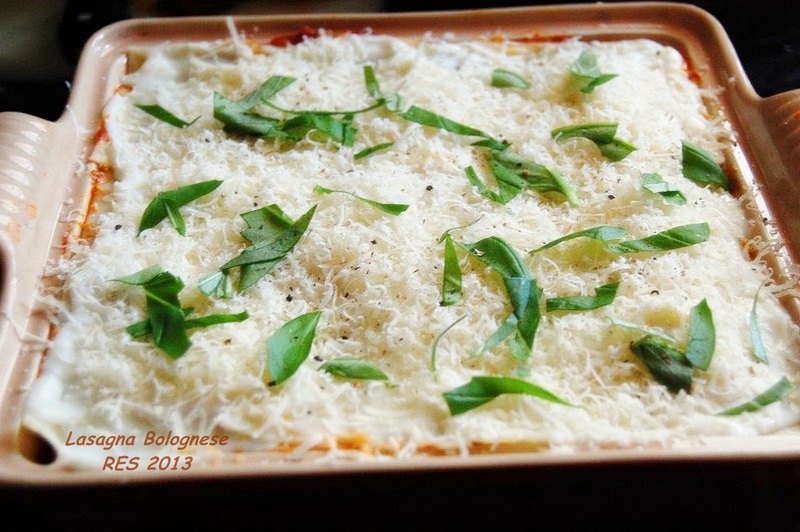 Repeat this process with the remaining dough and as many layers of pasta you need. 5. Cut your pasta lengths into square-ish shapes. The fun thing about making fresh pasta for lasagna is that the shape doesn’t much matter; you’re going to tile together whatever you have and nobody will care if it took 9 or 16 bits to patch the layer together. Bring a large pot of water to boil. Have ready a skimmer, a large bowl of ice water and a large tray or platter that you’ve drizzled or spritzed with oil. Boil several of squares of noodle at a time for 1 to 2 minutes each (1 minute if you, indeed, went to the thinnest setting on your machine; 2 if you, like me, stopped one shy of thinnest). Scoop them out with your skimmer, swish them in the ice water and lay them out (still wet is fine) on the oiled platter. Repeat with remaining pasta. It’s okay to have your noodles touch; they shouldn’t stick together in the short period of time until you begin assembling but if you’re nervous, you can drizzle or spritz each layer very lightly with more oil.